July 24th. 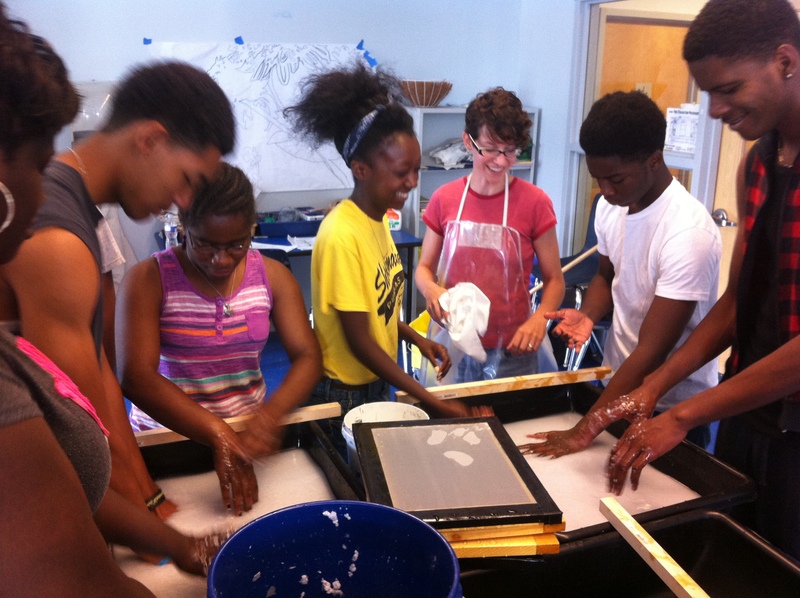 A great day of making paper with the students at Shoemaker/Mastery Charter School, at 53rd and Media, in West Philadelphia. 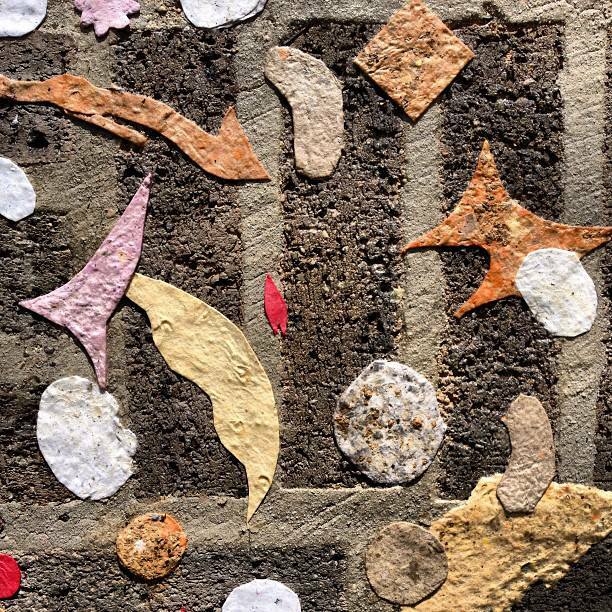 The students were working for the Mural Arts Program, and their instructor Katie Pomerantz brought me in for a special 1-day workshop so the 15 students could get the basics of papermaking. These photos, courtesy of Katie Pomerantz, are from the students finished work. 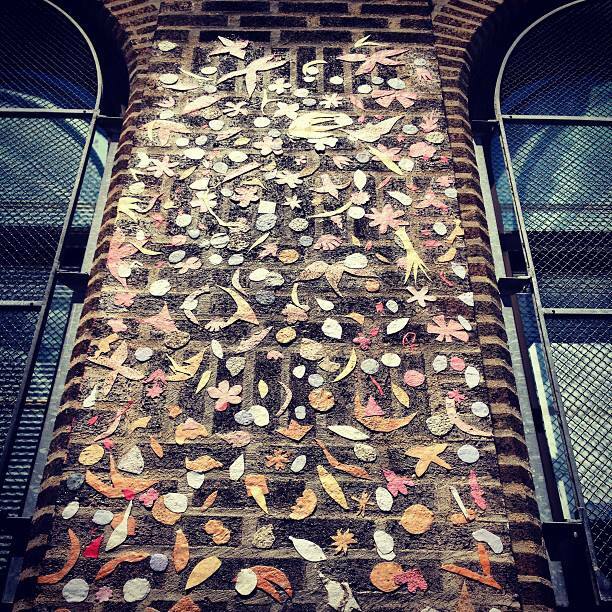 Their shaped handmade papers, made from 100% recycled classroom paper, eventually included wildflower seeds and were wheat pasted to the outside of the school. A fabulous project!